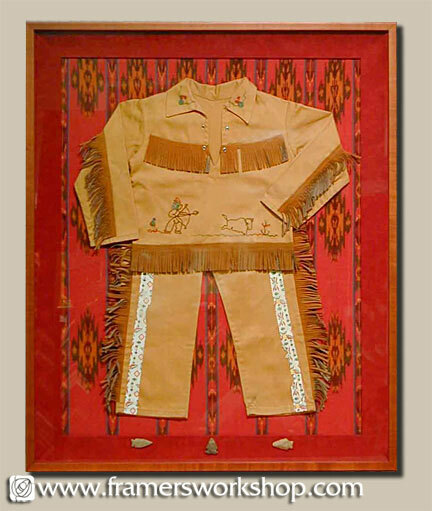 1950s Childs buckskin Haloween costume framed with suede scoop. The background fabric and arrowheads were supplied by the client. The costume was hand sewn to the background fabric and the whole piece glazed with UV filtering acrylic. The frame is a simple cherry "shadowbox" profile.